Carrollton on the Southfork -- our home along the South Fork of the Kentucky River, located just about 1/4 mile from the confluence of the Forks of the Kentucky River in the Southfork neighborhood at the southern edge of Beattyville. 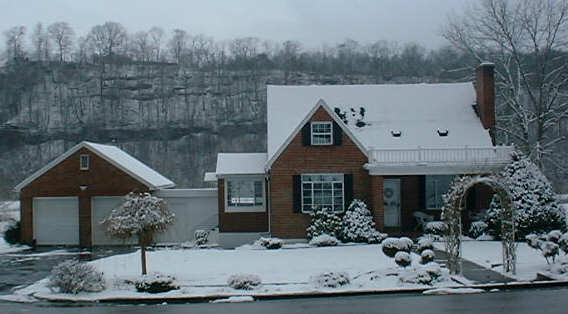 The home was built in about 1952 by Gentry Congleton, a coal mine and construction company owner and Beattyville's first millionaire. Southfork is a well-built home with a reinforced-concrete basement foundation, large cisterns located under the garage and house, and thick walls constructed, in part, of high-strength fire brick. The house was constructed by Clayton Congleton, and the brick mason was probably Zetta's father, Richard N. Lyons, Jr., based on his community standing as a master brick mason at the time, and the similarity in our home's unusual brick pattern with other structures he is known to have built in Beattyville. 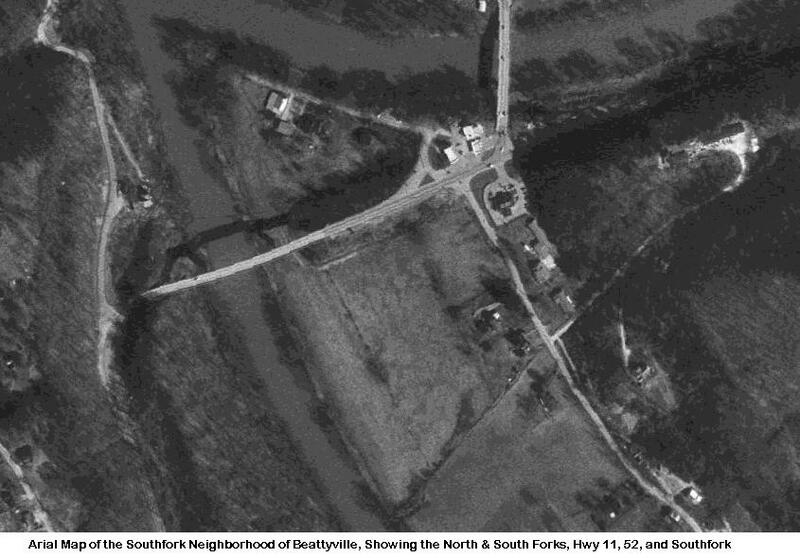 Southfork is surrounded by homes located along the river with broad open bottom-lands. In the background one can see the west bank of the South Fork of the Kentucky River with its occasional outcropping of rock. Our neighborhood is a home to local wildlife. Our Red Mulberry trees provide delicious fruits to songbirds and deer in the early summer.